Nike Air Force 1 "One Night Only"
"These were made for the 25th-anniversary party Nike threw for the Air Force 1. 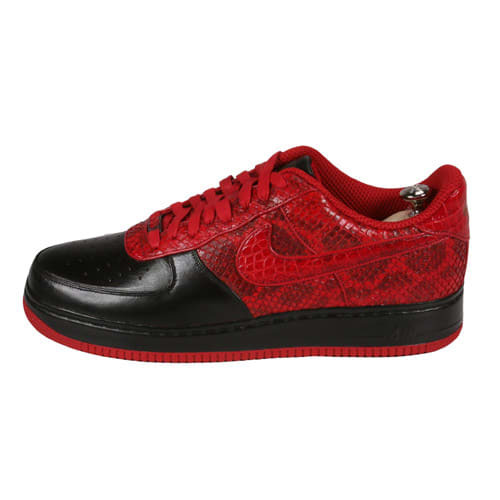 They had an all-black anaconda gator swoosh and a premium oil leather toe, and someone hit me with a picture and price. I went to his house, we didn't even discuss anything. I hit the ATM and the crib and came back to take them all. It was easily a couple months' mortgage. Out of the handful made, I had eight or nine of them."